Today we remember Marjoribell (Mabs) Stakley Holcomb, who passed away exactly one year ago (Feb. 23, 2014). She was one of the early pioneers in the movement to support Deaf women’s quest to achieve independence, equality, and respect. Below is her obituary. After 89 years and several health challenges, including two brain tumor surgeries, kidney removal, and partial paralysis for the past 28 years, Marjoriebell “Mabs” Stakley Holcomb passed away peacefully on February 23, 2014 at her home with her beloved sons and daughter-in-law, Sam, Tom, and Michele by her bedside. Her husband, Roy, preceded her by 15 years. Leaving behind are Sam’s wife, Barbara Ray, six grandchildren, Tara (and husband Chad), Amy, Leala, Mark, Cary, and Troy, and three great grandchildren, Makenna, Pax, and Thoreau. Born on July 8, 1924 in Akron, Ohio, considered a hot spot for the deaf community at that time, Mabs was inspired by many deaf leaders there while growing up. This experience, along with her Gallaudet College days and the leadership training she received at San Fernando Valley State College, now known as California State University at Northridge, prompted her to be one of the pioneers in the liberation of deaf women. She, along with Sharon Wood, published Deaf Women: A Parade Across the Decades in 1988 with the goal of inspiring deaf women everywhere. 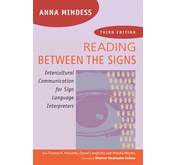 She also was one of the early advocates for the inclusion of the deaf voice in the field of interpreting and was one of the original deaf evaluators for the RID certification process. Mabs was a strong believer in the value of education and was an educator for 38 years before health problems forced her into an early retirement. She worked at several schools and colleges including the South Dakota School for the Deaf in Sioux Fall, the Tennessee School for the Deaf in Knoxville, the Indiana School for the Deaf in Indianapolis, James Madison Elementary School in Santa Ana, California, Golden West College in Huntington Beach, California, Deaf-Blind Regional Program based in Newark, Delaware, and Interpreter Preparation Program and Gallaudet University Regional Center at Ohlone College in Fremont, California. Her education background included a diploma from the Ohio School for the Deaf in Columbus and a Bachelor’s Degree from Gallaudet University in Washington, DC. In addition, she earned two master’s degrees, one from the University of Tennessee in Knoxville and another one from San Fernando Valley State College. Mabs was the second in a five-generation deaf family. Her legacy continues through her children and grandchildren. In this moving and informational videoclip, created by her granddaughter, Leala Holcomb, Mabs, along with her son, granddaughter, and great grandson share their thoughts on the evolution of deaf education. (captions are provided, click the “cc” icon on YouTube). 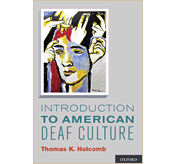 Posted in Deaf Education, Deaf leaders, Families with deaf children, personal narratives and tagged five generations of deaf family, Leala Holcomb, Mabs Holcomb, Tom Holcomb. Bookmark the permalink. 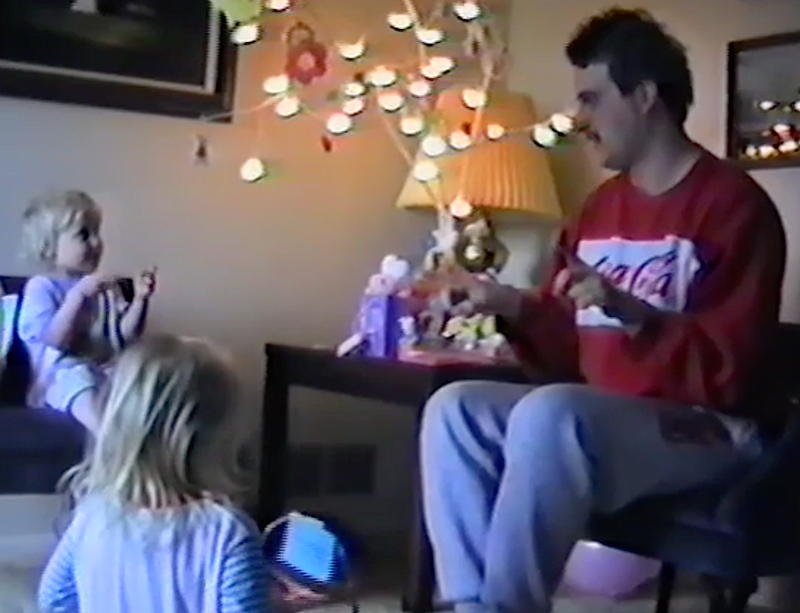 Tom: Just found an old home movie of me and Leala, showing us playing with ASL rhyming games when she was a toddler. This one shows two signing plays based on the English nursery rhymes “Twinkle Twinkle Little Star” and “Humpty Dumpty.” But as we described in our last blog post, Leala and her partners in Hands Land have taken this idea further and developed DVDs that just focus on ASL-based rhymes and rhythms. Their Hands Land project just got a nice write-up on Mental Floss, featuring a video of Leala’s nephew Thoreau’s sign play. LIKE their Hands Land Facebook page. Last chance to donate to Hands Land’s Indiegogo campaign is February 6. Posted in ASL Nursery Rhymes, ASL Poetry, Families with deaf children and tagged Hands Land, Leala Holcomb, Nursery rhymes in ASL, Tom Holcomb. Bookmark the permalink. In our last blog post, we showed examples of different ways that nursery rhymes can be rendered in sign language using ASL rhyming patterns. For me, that brought back a lot of memories of when my kids Tara, Leala, Cary, and Troy were small. We would often make up ASL rhythmic patterns for every daily activities like meal time, bath time, and bed time. It was a way to turn mundane daily routines into something more enjoyable. I had a lot of fun participating in language play with them, especially when they were very young. Watching those tiny hands forming rhythmic patterns is something I will never forget. I am delighted that Tara and Chad are continuing this tradition of language play in ASL with their own children, Pax, Thoreau, and Clementine. They adore Aunt Leala for her creativity in creating ASL rhymes and using them at home. Now I am thrilled that my daughter Leala has decided to start a new venture called Hands Land, with the goal of encouraging more families play with their children through ASL in their own homes. With the creation of new materials to support young children’s language development through ASL’s intrinsic rhyming and rhythm patterns (unrelated to English), it is hoped that more of these toddlers, especially the deaf ones, will be able to grow and thrive in a language-rich environment. If you would like to support this venture, please go to this website to make your donation. Posted in ASL Nursery Rhymes, ASL Poetry, Families with deaf children and tagged ASL, ASL for young children, Hands Land, language play, Leala Holcomb, nursery rhymes, sign language. Bookmark the permalink. 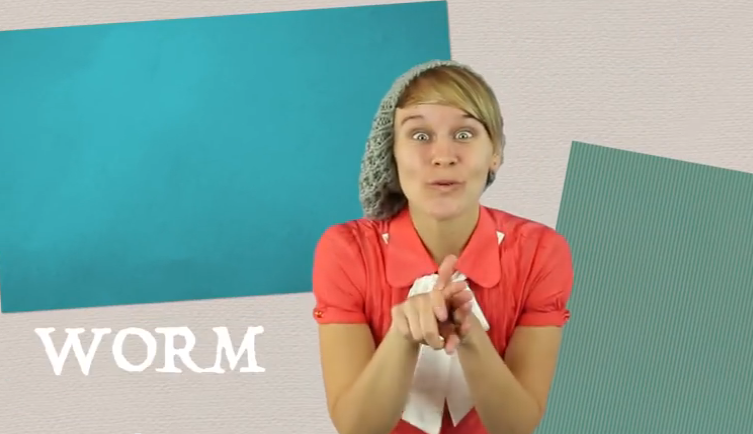 Nursery Rhymes in ASL? As Easy as 1,2,3! 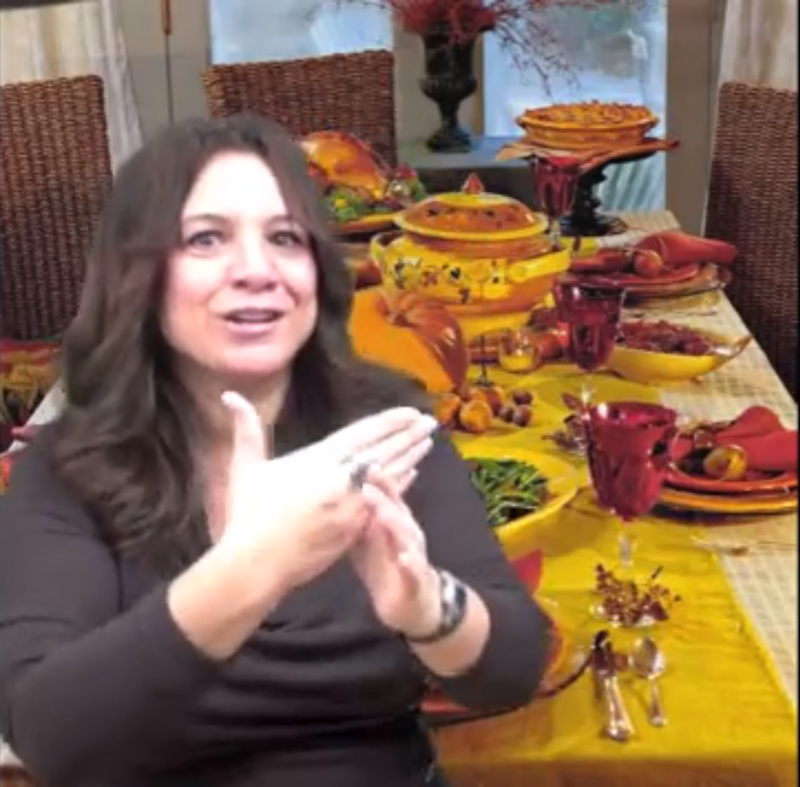 How can rhyming be portrayed in ASL? Is there rhythm in ASL? 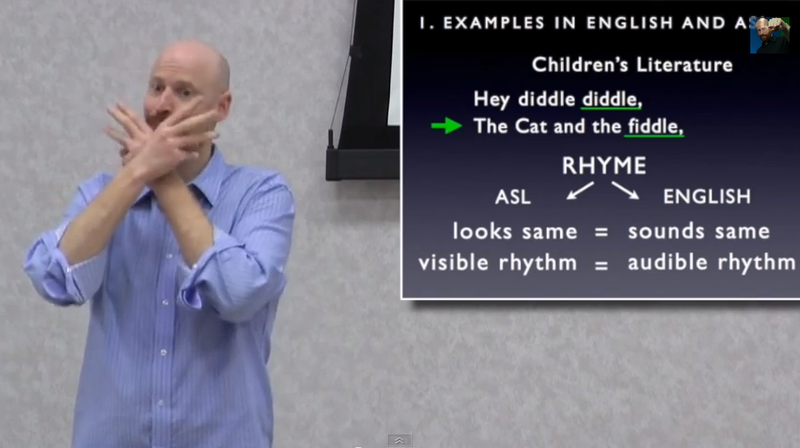 How do rhyming and rhythm support deaf children’s language development? There is a growing movement to promote language development among young children through ASL rhymes and rhythm. The following presenters supply information and demonstrations of different ways that rhyming and rhythm can be used to engage young children. 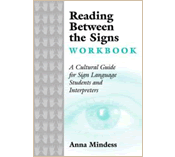 “It is crucial to engage young Deaf signers in ASL songs that they are able to re-chant and internalize the language and make their own. Historically, Deaf children who don’t have enough opportunity to “play with language and developing ASL phonemic awareness” tend to struggle more in academic performances. The use of drum usually engages them to follow the beats with repetition more effectively. Leala Holcomb presents one of the Dr. Seuss’ classics, Hop on Pop, using ASL rhyming techniques to match the whimsical message of Dr. Seuss. 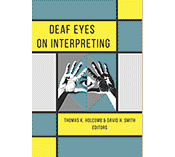 We look forward to seeing more and more of this kind of work in ASL for several reasons. 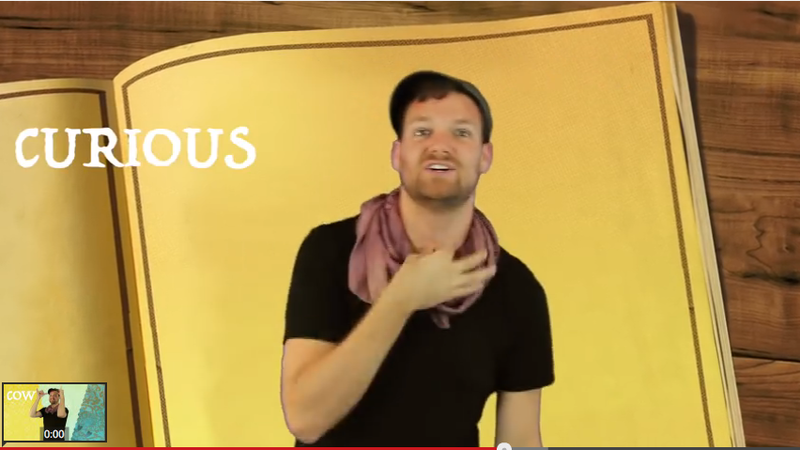 One is the pure entertainment value of watching performers make nursery rhymes come to alive in ASL. In addition, we are excited about the prospect of deaf children having increased access to nursery rhymes through ASL. Posted in ASL Nursery Rhymes, ASL Poetry, Families with deaf children and tagged ASL, ASL poetry, Austin Andrews, Awti, Barbara Wingfield, Leala Holcomb, nursery rhymes, Nursery rhymes in ASL. Bookmark the permalink.